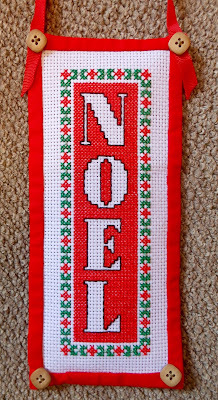 I finished this into a holiday door hanger. 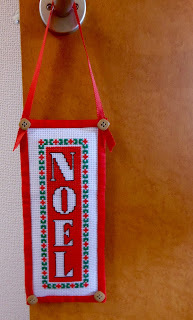 The backing fabric is the same as the binding and I used some thin batting to give it a little body. I like how it turned out. 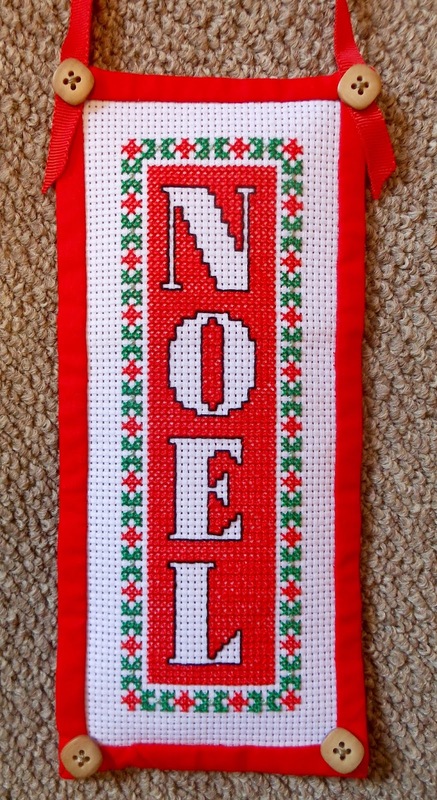 it's very lovely and will make a nice subtle touch to Christmas. It's a charming piece, and the wooden buttons add a bit of extra. It looks lovely Pamela! I do like wooden buttons, and yours look very nice and compliment the stitching well! What a pretty finish! 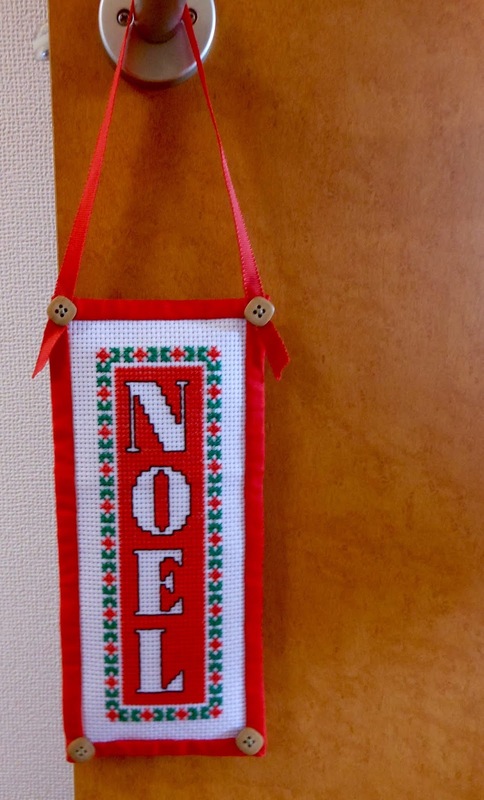 Is the word noel (I'm guessing noeru?) used in Japanese as well?